visit travelcomments.com/webcams_sa.htm and follow daily game drives via webcam to check the weather & how the landscape is changing during the year. KLM Royal Dutch Airlines has launched a scheduled service between Amsterdam and Quatro de Fevereiro International Airport in Luanda, Angola. The inaugural flight was on 27 March 2012. Luanda is KLM’s latest intercontinental destination. Luanda will be served twice weekly with an Airbus A330-200 that can accommodate 243 passengers; 30 in World Business Class, 178 in Economy Class, and 35 in Economy Comfort. Flights depart from Schiphol (Amsterdam) on Tuesdays and Fridays at 21h20, arriving in Luanda at 05h00 the next day. The return flight departs from Luanda on Wednesdays and Sundays at 19h00, arriving in Amsterdam at 04h45 the next day. The SkyTeam memners KLM and Air France, together with their partner Kenya Airways, are currently offering 89 flights a week between Europe and Africa. Kumuka: 30% off all Africa Overland Tours! So if you have ever dreamed of tracking Lions in the Masai Mara, canoeing the Okavango Delta or snorkelling with dolphins in Zanzibar... Now is the time to book! Hurry the 30% OFF SALE must end this Sunday. To claim your 30% discount simply use the discount code AOS30 when booking online! 1. To receive 30% offer, full payment must be received by 01 April 2012. 2. Offer can be withdrawn at any time at the discretion of Kumuka Worldwide. Book now to avoid disappointment. 3. This offer only applies to Africa overland tours 4. Offer applies to new bookings only. 5. Valid for travel between 01 Apr 2012 and 31 December 2013. 6. Offer excludes tours booked using Kumuka Payment Plan. 7. This offer cannot be combined with other offers including Kumuka Explorer Loyalty Scheme 8. Offer applies to bookings made in $USD, £GBP, $AUD, $NZD & €EUR only. South Africa's Department of Environmental Affairs (DEA) has published the latest statistics on rhino poaching in South Africa. According to the Department, to date (29 March 2012) a total of 150 rhinos have been killed for the illegal trade in rhino horn in South Africa. The Kruger National Park has suffered the greatest losses with the poaching toll having reached 87. A total of 90 alleged poachers was arrested so far in 2012. Compared to the last stats published 10 days ago, 15 more rhinos have been illegally killed in South Africa and only one more poacher has been arrested. Shocking! 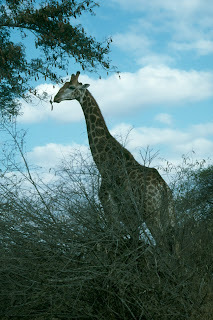 Privately owened South African airline SA Airlink will launch a new direct daily service between Johannesburg and Maun in Botswana on 15 June 2012. The flights to Maun Airport, the main touristic gateway to the Okavango Delta and the Moremi Game Reserve, will be operated with an Embraer ERJ 135 aircraft. Maun Airport is located about 5km/3.1mi from Maun and is accessible by shuttle bus or taxi. As of today (29 March 2012), South Africa's budget airline 1time is operating three flights per week between Johannesburg and Zanzibar (Tanzania). The airline is increasing the current schedule from two to three flights per week during the month of March & April, August to October and in December 2012. With its two flights per week between Johannesburg and Mombasa (Kenya), 1time is now offering its passengers five flights a week into the region. 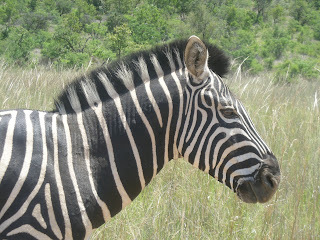 The Magadzavane Tourism Complex opened in Mlawula Nature Reserve, Swaziland, earlier this month (March 2012). The resort situated 16km from Siteki, near the Goba/Mhlumeni border between Swaziland & Mozambique. The Magadzavane Tourism Complex comprises forty en-suite units, restaurant, bar, conference centre and swimming pool. The resort is also offering hiking trails, picnics, mountain biking, bird watching and fishing. Activities within Mlawula Nature Reserve can be enjoyed by visitors staying at the lodge, which include game viewing, hiking trails, picnics, mountain biking, bird watching and fishing. There is also a spacious main camp for tents and caravans. 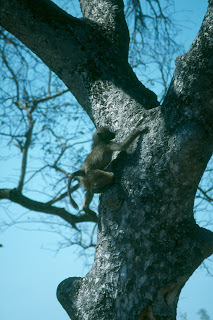 The Magadzavane Tourism Complex isd an ideal stop-over point for visitors travelling to and from Mozambique. 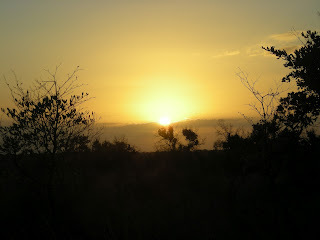 On 01 April 2012, time in Namibia will change from UTC+2 to UTC+1. The time will change at 02:00am (from 02:00am to 01:00am). Time will not change in the Caprivi strip, as this area is not subject to summer and winter time changes. Daylight saving time will resume again on 02 Sept 2012. Only Mororcco and Namibia are currently using daylight saving time on the African continent. The arrival pick-up zone at Durban's King Shaka International Airport is closed since 27 March 2012 and will only re-open on 01 June 2012. Construction is already under way to re-design the pick-up zone, which will by then offer the traveller a better access to the multi-storey parkade as well as less peak-time traffic congestion. During the construction work, Airports Company South Africa (ACSA) is offering 30 minutes free parking at the nearby multi-storey parkade for the benefit of all customers. King Shaka International Airport is recommending its customers to arrive earlier than usual at the airport to avoid delays. Customers are furthermore advised to follow the direction signage in strategic locations near the main entrance of the multi-storey parkade. For over 20 years the authorities in Tanzania have strictly enforced the ban on the use of paragliders, hanggliders and mountain bikes in the Kilimanjaro National Park. In 2013, however, they will lift this restriction for a one time only event, Wings Of Kilimanjaro. In February 2013, a group of 200 adventurers will therefore come to Tanzania to climb and fly from the highest free-standing mountain on the planet, the Kilimanjaro, for the first time ever! Using Mt Kilimanjaro as the platform for their activity and the vehicle for their cause, it is Wings Of Kilimanjaro’s shared vision that they can utilise this rare opportunity to raise funds to support charities in Tanzania. Please check their website for more information and for how to get involved. Malawi's flag carrier Air Malawi has finally resumed flights between Blantyre <> Johannesburg. The airline was forced to stop operating the route in November 2011 (see blogpost from 14 Nov 2011). Air Malawi is servicing the route between Blantyre <> Johannesburg four times a week on Wednesdays, Fridays, Saturdays and Sundays operating a Boeing 737-200. According to Air Malawi's marketing executive Phillip Malanga, the airline is planning to increase flights between the two destiantions gradually. Price: Please enquire for current prices and duration. Price includes pre-departure support and discounted services, airport pickup, in country transport, accommodation and a 2 week training programme in the Kruger National Park. Turkey's flag carrier Turkish Airlines will start operating flights between Istanbul and and Rwanda's capital Kigali via Entebbe (Uganda) on 16 May 2012 on board a Boeing 737-800 aircraft. The airline will initially fly the route three times a week and four times from 31 May 2012. Cape Town celebrated the third annual Cape Town Carnival, themed "Cape to Rio", on Saturday, 24 March 2012. About 120.000 people lined the Somerset Road in Greenpoint to watch 9 Floats and approximately 2000 performers celebrating Africa's creativity with floats, dance, music and inspired performances. Put it on your calendar for next year and make sure that, in case you are going to be in Cape Town around the end of March 2013, you are not missing Cape Town's biggest street party. Kudos @ Henning Gawrisch for the video footage! The Rwandan capital Kigali is Qatar Airways 17th destination on the African continent. The arrival of flight QR 536 to Rwanda takes the airline’s African capacity up to 132 passenger flights each week across a diverse network of cities. The flights are operated via Entebbe in Uganda with an Airbus A320 in a two-class configuration of 12 seats in Business Class and 132 in Economy. The addition of the daily flights to Kigali takes Qatar Airways’ East African coverage, including Kenya, Tanzania and Uganda, up to 42 flights every week. In recent months, the Qatari airline launched new African services to Benghazi in Libya and the Ugandan city of Entebbe, with a further three route start-ups planned over the next few months – Mombasa in Kenya, and both Kilimanjaro and Zanzibar in Tanzania. 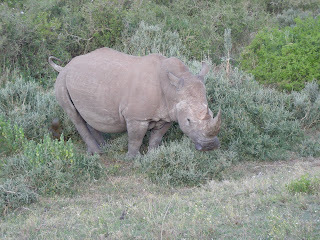 Good news from Mount Kenya National Park in Kenya. The fires that have been raging across the National Park for the last 9 days have been extinguished. There are currently no more active burning fires in the mountain accept for some logs that are still smoldering in rather isolated parts. Nevertheless roundabout 10% of of the mountain's forest has been destroyed by the fire. A second fire in the neighbouring Aberdare National Park has also largely been contained. According to the Kenya Wildlife Service, the big mammal species like elephants, buffalos, bush bucks and the primates have been moved away from the fire. However, an unknown number of smaller invertebrates and reptiles like snakes were killed by the fire. Kenya Wildlife Service officials said the fires on Mount Kenya were caused by "arsonists with ill intentions." It was previously said that the fires could have been set intentionally to help poachers escape after an attack. Shame of them! update (13 June 2012): Gulf Air will reduce its Bahrain <> Nairobi (Kenya) service from 6x weekly to 5x weekly during winter season (around 28 Oct 2012). The national carrier of the Kingdom of Bahrain, Gulf Air, will increase its flights between Bahrain and Nairobi in Kenya from 5 to 7 times a week in each direction, from 01 June 2012, to meet growing passenger numbers. Gulf Air, a member of the oneworld airline alliance, is currently operating an Airbus A320 in a two-class configuration of 16 seats in Falcon Gold and 120 in Economy, and has the capacity to carry four tons of freight to and from Nairobi. Get 50% off any time spent in the project during the month of April 2012! Price includes accommodation at the camp, all meals and training. Longer stays can be arranged from €750 (GB £625) per 2 weeks spent after the first 2 weeks. Getting to the project is easy! You simply book an international flight through any airline you choose, arriving in Johannesburg (O.R. Tambo International Airport), and then book a connecting domestic flight (takes just over an hour) from Johannesburg to Richards Bay (our closest airport) where you can get picked up from. Other options include a flight to Durban and then by bus to Richards Bay or straight from Johannesburg to Richards Bay by bus. We personally initiate, implement and manage the Endangered Species Monitoring programmes on reserves that don’t have the means to do so themselves. 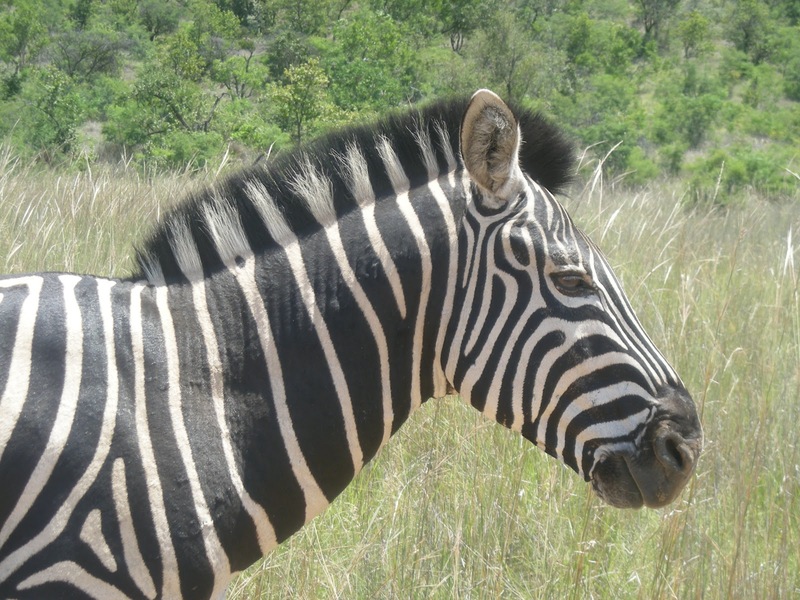 Our projects are located across 4 different and unique Game Reserves in Zululand, South Africa. Joining our project means that you can actively help endangered and priority wildlife species conservation by contributing towards some of the most exciting monitoring projects in Southern Africa. The reserves on which we work mainly focus on research into African Wild Dog, Cheetah, Black Rhino and Vultures; however Elephant, Lion, Leopard and White Rhino are also monitored. We are the only conservation volunteer organisation in South Africa who are supported by and working with high profile organisations including the WWF and Wildlands Conservation Trust. We are also the only volunteer supported organisation to work on National Game Reserves, allowing you to experience the real African bush (other volunteer organisations work only on private Game Reserves). Because we are the only volunteer supported organisation to work across 4 different game reserves, you have the opportunity to work on multiple Reserves, depending on the length of your stay. If you stay for only 2 weeks, you will work on 1 Reserve, but for every additional 2 weeks you stay, the better your chance of experiencing another Reserve. Daily tracking and locating of priority species wildlife in the wild from an open 4x4 vehicle, via radio telemetry. Photographing and creating identity kits when necessary for reintroduced/relocated animals. At least once a week you will have a day set aside for administrative work (data capture and analysis), which is a vital part of the monitoring process, as this valuable information, which Wildlife ACT and our volunteers gather, has numerous management applications, including the planning of successful introduction and removal strategies of priority wildlife species, as well as supplying information to the local conservation authorities. 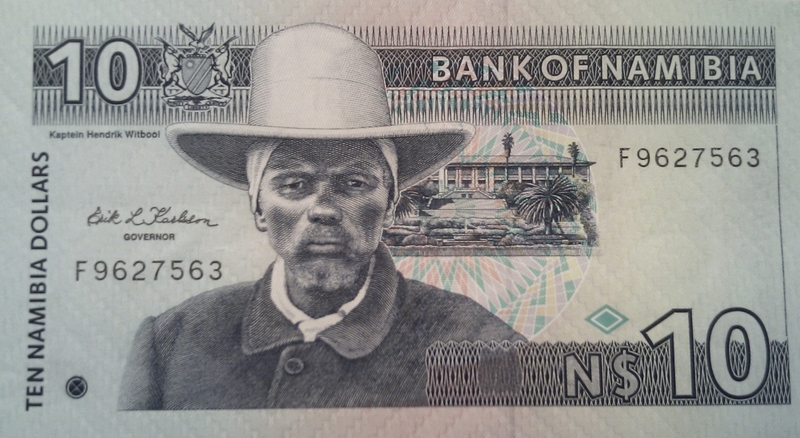 update (27 Apr 2012): The new Namibian banknotes will be circulated on 15 May 2012. Namibia has launched a new series of banknotes with state-of-the-art security features to ensure that the country's banknotes are not as vulnerable to potential counterfeiters as they used to be. The new N$10 and N$20 denominations are featuring an image of former President Sam Nujoma, while the new N$50; N$100 and N$200 denominations still feature an image of Kaptein Hendrik Witbooi. The Gautrain, the 80km mass rapid transit railway system in Gauteng linking Johannesburg, Pretoria and OR Tambo International Airport, will run on a new timetable from Thursday (22 March 2012). The new timetable is designed to provide more peak-time train capacity during weekdays and more time to change between the north-south line and the east-west line at Marlboro station. Click here (pdf) for the new timetable. According to Gautrain spokeswoman Kelebogile Machaka, the company also implemented certain "service enhancements" including airport trains direct from Marlboro station, a simplified fare structure, reduced parking fees, discounted fares for regular users, a security hotline (0800-811-811 toll free), an sms service for real-time service updates as well as apps for smart phones. Sixth issue of free "Safari" digimag out now!